The Trade by levels indicator is designed to automatically determine the formation of a model for entering the market on the chart of the selected instrument. ⦁ BFl is the bar that formed the level. ⦁ BCL1 and BCL2 bars, confirming the level. ⦁ there can be any number of bars between BFL and BCL1. ⦁ between BCL1 and BCL2 intermediate bars should not be. ⦁ the value of a hi / lo bar BCL2 may be different from the level values (BFL and BCL1) the size of the backlash. Backlash no more than 2-3 points. ⦁ in General, the model is formed by 3 bars: 1 bar – forms a level. 2 bar-confirms the level. 3 bar also needs to confirm the level, 4 bar is the entrance. Trading is carried out according to the trend of limit orders. Traded only the rebound from the levels. ⦁ if the current price of the instrument is near the level. ⦁ if the Issuer has passed at least 75% of its ATR. 30 seconds before the closing of the BCL2 limit order is set with an indentation above/below the level of the backlash size (2-3 points). Stop is placed over the high of the false breakout (if it was) +/- 1-2 points. The size of the stop does not exceed about 15 points. If the order is not opened, and the price has passed 2 actual stops from the price of the pending order – the order is canceled. 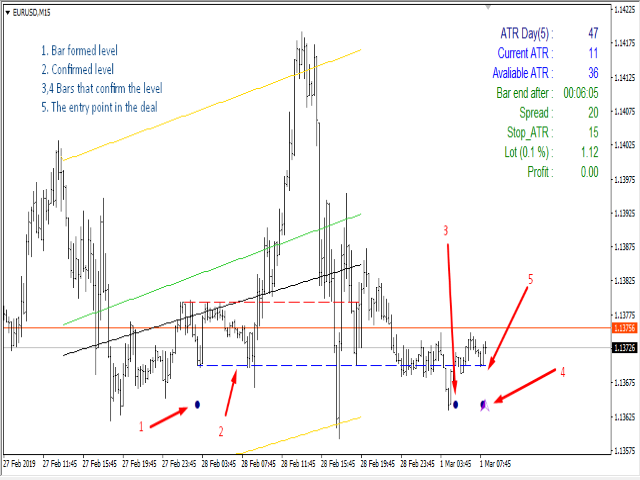 D1-to determine the trend, the ATR value for the last 5 days. 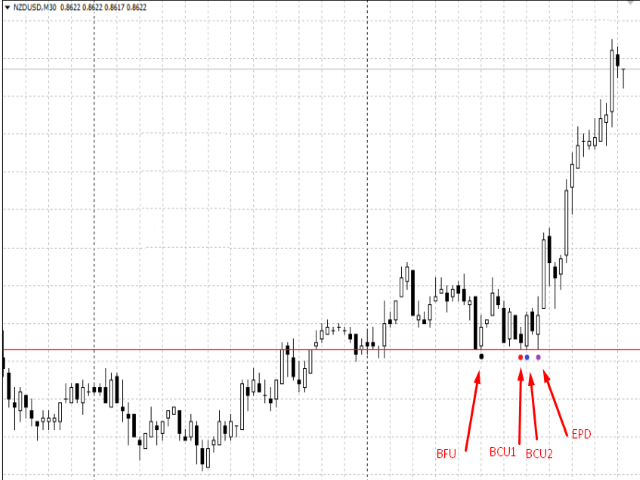 H1-to enter a trade on the model signal. Awesome!! I finally found the indicator I was looking for. Thanks for sharing.